If you pick up a melon with a strategically placed sticker, rest assured it was supposed to be there. It's the latest campaign from the Canadian Breast Cancer Foundation. 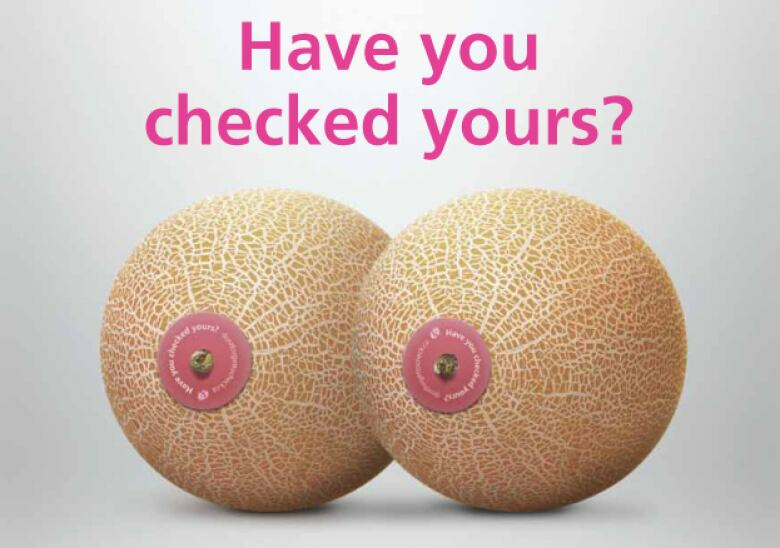 The charity has launched a cheeky grocery store campaign to remind women "don't forget to check"
The Canadian Breast Cancer Foundation's latest campaign is one that's meant to grab your attention. 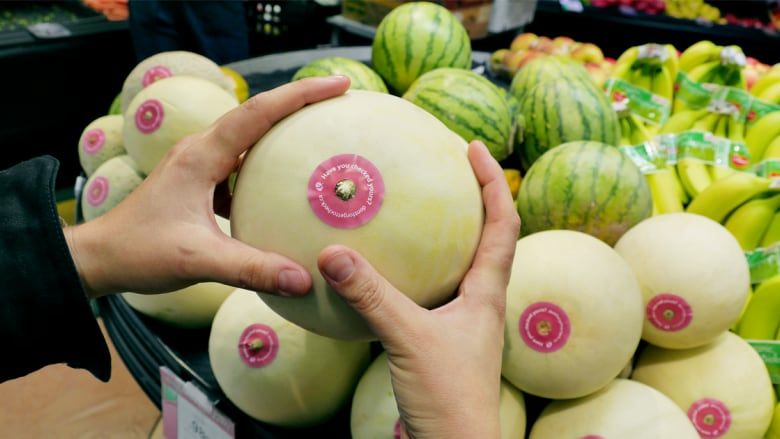 They've strategically placed small, circular, pink stickers on melons to do one thing — yes, remind you of breasts — and the need for self-examinations. "It's funny, it's cheeky, it's a little bit irreverent," said Elaine Webb, a senior promotions director with the charity. Each sticker is printed with the question, "Have you checked yours?" and a link to a website on breast health. The group is using the tactic to specifically reach out to women from the ages of 25 to 39. It's a demographic that's too young to be eligible for free regular mammograms but can be devastated by illness if it it does occur. "While the incidents of breast cancer in younger women is lower, when breast cancer does occur it's often more aggressive," said Webb. While some might blush at the sight of what the charity calls its "melon stunt," but they are unapologetic. "We're trying not to cross the line to objectify women and their breasts but certainly these kinds of campaigns have worked for us in the past in that they really draw people's attention," said Webb. The honeydews, cantaloupes and mini-watermelons with pasties can be found at Nesters Market across B.C. from November 15 to 21.